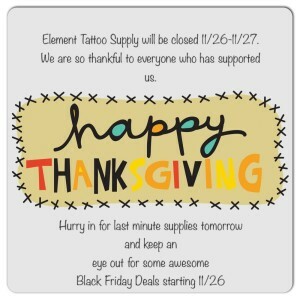 Element Tattoo Supply does its part for professional tattoo artist to get their tattoo supplies at a great price. 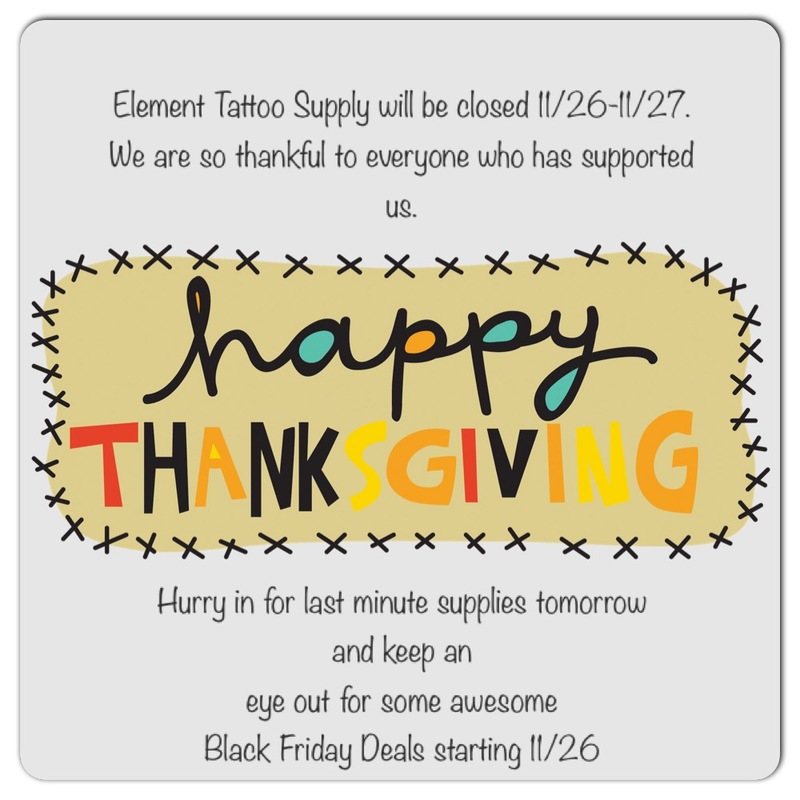 Here Element Tattoo Supply our family to yours we are wishing you guys a very safe and thankful Thanksgiving 2015 remember every order that you do over $100 you get free shipping hope everyone had a great holiday with your family and friends we know we did. This entry was posted in Blogging and tagged black friday, deal, Element Tattoo Inks, Element Tattoo Machines, Element Tattoo Needles, Element Tattoo Supply, Low Profile tattoo needles, save. Bookmark the permalink.